When I hear the word “unicycle”, clowns and circus shows come to mind. It isn’t something I would consider right away when it comes to transportation. With unicycles, you only have one wheel, which is why anyone that can maneuver with ease on a unicycle has excellent balance. Personally, if I had to choose between riding a unicycle and running to get away from a zombie horde, I would go with staying on foot! But that all changed when I discovered the electric unicycle. Yes, you heard that right. Like bicycles and scooters, unicycles have also gone electric. Similar to other electric transport devices, electric unicycles have a motor, battery, and motherboard. What makes this device particularly interesting is how it’s self-balancing with the use of accelerometers and gyroscopes. You can go faster and slower, as well as change direction just by leaning a certain way or using your feet. When choosing a personal electric transportation device, electric unicycles probably won’t be the first thing on your mind. It sounds like a silly gimmick, and you might think of it more as a kid’s toy. To change your mind, here are a few reasons why you should take it seriously as a commuter vehicle. Hands-free. This is why I love electric unicycles so much. Sure, you can go for electric scooters because they’re more powerful and have greater range. But can you sip on your Starbucks frappe while texting your friend on them? Of course not. The electric unicycle gives you the freedom to use your hands as you wish, which is great news for chronic multitaskers like me. Portable. You might not be able to carry one under your arm in a bag like an electric bicycle, but electric unicycles are pretty portable in their own rights. You can put them in the trunk of your car, in your locker at the gym, or even under your desk at school. Some models even have a retractable handle that let you roll the wheel around like a trolley when not in use. This feature makes it very convenient for people who make short trips to the grocery. Fast and convenient. Electric unicycles give you an easier way of reaching your destination compared to walking. You will get there much faster, without even breaking a sweat. Let’s say you drive to a location and park your car at the only parking area available. You’d then have to walk a few blocks. Won’t it be much easier with an electric unicycle? It’s definitely great for that last mile. Costs little to use. Think of how much it costs to buy a car. And the expenses do not stop there! You would have to pay for regular maintenance, repairs, as well as gas. The initial cost might be bigger compared to your average non-electric solo transport devices, but the price is miles away from that of a car. Plus, the unicycle is rechargeable, so you won’t have to spend on gas anymore. If you run out of juice, all you need to do is charge it! Fun to ride. And the last reason why you should buy an electric unicycle? It is a LOT of fun to use. Enjoy yourself as you zoom through the city sidewalks. You would also look pretty cool too, as if you were straight out of a futuristic movie like Tron. There are always two sides of a coin. Since we have listed out different reasons why you should have an electric unicycle, here are a few things that you need to think about before you make your decision to buy one. The learning curve. Riding a unicycle itself is not easy. So what about an electric one that has no handle and seat? You might not have to pedal or balance yourself, but you still need to master riding, turning, accelerating, decelerating and more. For others, it takes a few hours, while some need weeks to learn. It can get frustrating, but wasn’t learning to ride a bike hard at first as well? Stay dedicated and you’ll get the hang of it! The cost. Electric unicycles are usually expensive to possess when you compare it unicycles and bicycles. Prices can range from below $200 to above $1000. You need to do a lot of research on which unicycles offer the best value for the price. Don’t go for something just because it is much cheaper if the features aren’t worth it. The law. Some states and cities do not allow electric unicycles on the road, so you might only be able to ride it on the sidewalk. It is always important to do your research before you make a purchase. Check any local legislation to see if you won’t get in trouble for using an electric unicycle in your area. The attention. People WILL give you weird looks, especially if you are in crowded areas. That is just because they aren’t that used to the concept of electric unicycles yet. You can have your friends try your electric unicycle out so they can see how awesome it is! Riding a unicycle in public felt awkward for me at first, but I forgot about that because of all the fun I was having. Looks like you really want to buy an electric unicycle! With all the options available, choosing the best one for you can be quite the headache. 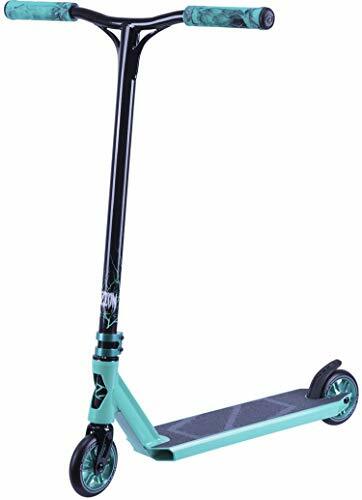 We have made things a lot easier for you by preparing a list of the best electric unicycles currently on the market. 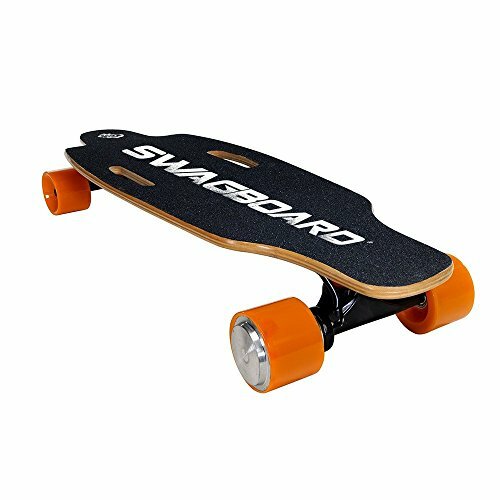 The Swagtron SwagRoller might have a ridiculous name, but it is fully-packed with features that give it great value. You get beyond more than what the average unicycle has, and here are the reasons why. The unicycle has a built-in headlight, making it safe to use at night. It also has an integrated bluetooth speaker. If you’re bored during your daily commute, all you need to do is connect your mobile phone to the unicycle. You’ll be able to listen to your favorite playlists with the unicycle this way. It’s great in quiet streets, but the sound might drown out in more crowded and noisy ones. You get a free mobile app with the electric unicycle. Connect via bluetooth so you can access riding history, motor lock, speed control, and more. You can even customize the LED light pattern that appears on the side of the unicycle! With an IP55 level of water and dust resistance, the Swagtron SwagRoller is fairly durable. It also has a high-capacity weight limit, so anyone can try it regardless of weight. At 30 pounds, it is too heavy to just tuck under your arm if you don’t need to ride it. Instead, you can use the incorporated extendable handle to take it around like a trolley. It’s called a unicycle but it actually has 2 14-inch air-filled wheels. The dual wheels make it sturdy and safe enough to tackle rough terrains like grass and gravel. I wish you luck if you plan on riding this thing in sand and mud though, because you will get stuck more or less. 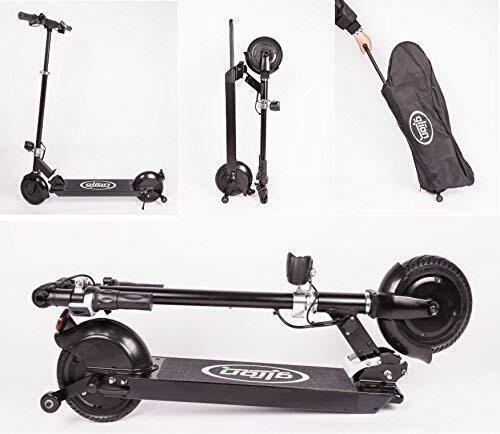 If you are still learning how to use the electric unicycle, you can also make use of the training wheels included. The 450 W motor is great for making quick turns, and it can give you a top speed of 9 mph. After a 3-hour charge, you can even get as far as 12 miles. The unicycle can go up inclines at 15 degrees, unless your weight is over 190 pounds. Don’t worry, because you’ll still be able to use the electric unicycle otherwise! If you crossed an electric bicycle with a unicycle, you would get the Apex Star I1SP800 Speeder. Unlike the average electric unicycle, this one comes with a handle and a seat. Learning will be much easier considering it feels similar to the normal unicycle, but it also makes the unicycle less portable. Thanks to the inverted pendulum design, balance is no longer an issue. After only 15 minutes, the self-balance feature kicks in, requiring less effort from the rider. It works great on paved streets, so urban commuters will love it. If you prefer going off-road, this might not be the electric unicycle for you as it tends to get stuck in more difficult types of terrain. Although the Apex Star is heavy at 37 lbs, the powerful 800 W motor lets you travel at 22 miles per hour. It is even paired with a lithium-ion battery that can get you up to 35 miles on a full-charge. Charging will take you at most 4 hours, but it is definitely worth it. When it comes to controlling the unicycle, you can accelerate by leaning forward and decelerate by leaning backward. If you want to move left or right, you can use the handle to steer instead of leaning sideways. You no longer have to worry about falling over like you usually do with other electric unicycles. Built for comfort, you will love the wide soft seat and large footrests. You also get a free Bluetooth app, flashlight, compass, saddle bag, and cellphone holder with the transport device. This fun-to-ride and well-built mid range electric unicycle is so easy to use, it’s great for beginners. It comes with an intuitive Bluetooth app that comes with information and tutorials. After completing rider tutorials or traveling a certain distance, you will be able to unlock more speed “levels”. 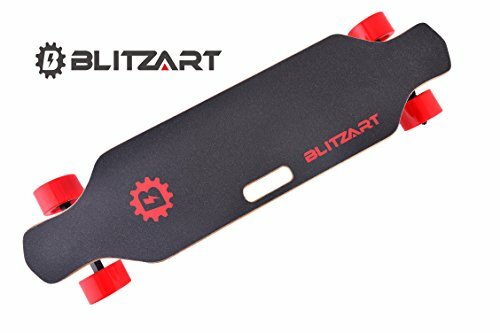 This creates a nice safety precaution for newbies who might have a hard time controlling the unicycle at faster speeds. You can attain the maximum speed of 12.5 mph once you’ve completed all of the tutorials. The top speed might not be much, but at least it’s faster than walking! It’s also easy to maneuver. 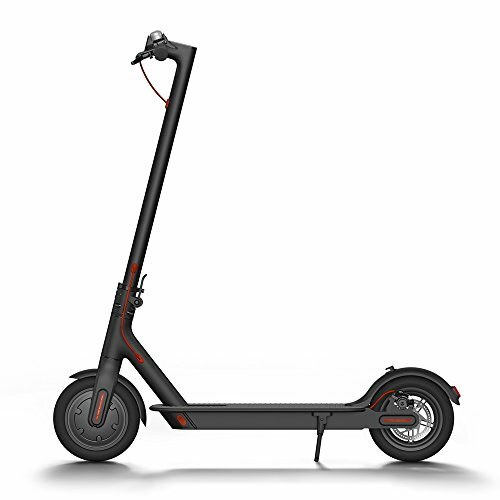 This can be alluded to the magnesium alloy frame, which has the Segway One S2 weighing at only 25 lbs. The electric unicycle is small, but don’t judge it right away by it’s size. This durable motorized transport can actually carry up to 220 lbs. The lithium ion battery takes 4 hours to charge. You can travel up to 15 miles until you run out of juice. Like the typical electric unicycle, you control it by shifting your weight. Unfortunately, you cannot go off road. At least the unicycle looks great, with its customizable LED light patterns and design cover. This electric unicycle is the most expensive one on our list. With prices below $2000, the King Song 16S comes with crazy features that make it a worthwhile buy. At first glance, it might look a little cheesy compared to the other electric unicycles with sleek futuristic designs. This looks more like a child’s toy with rainbow colored LED lights on the side. Don’t let its appearance fool you though, because this unicycle is a monster when it comes to performance. You can get to a top speed of 30 mph depending on rider weight, terrain, and other factors. On a full charge, you’ll be able to ride for – wait for it – 60 to 70 MILES! That is an insane number considering the average mileage for electric unicycles. You can carry up to 330 lbs and climb up an incline of 30 degrees on the King Song 16S. The powerful motor, two battery options, water-resistant design and big 18” wheel makes it a very durable beast. Alas, it is also ridiculously heavy at 50 lbs, so good luck to carrying this around with ease. Despite the heavy weight, you can make sharp turns and nimbly maneuver on this electric unicycle. It handles a lot better compared to other options. You even get the add-ons of a Bluetooth app that lets you customize the side LEDS and more. Plus, there is a built-in Bluetooth speaker AND an optional seat. This is definitely the King of Electric Unicycles. Headlights. Will you be commuting at night, or mostly during the day? 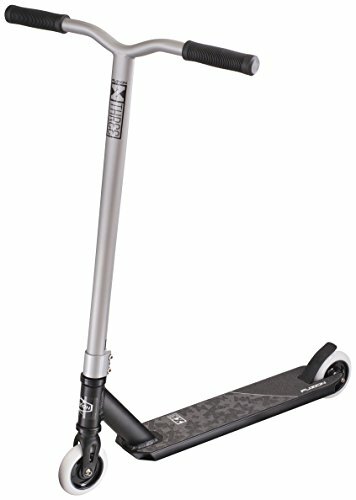 If you are a night owl like me, you should really consider an electric unicycle with integrated lights for your safety. Maneuverability vs. Speed. Do you want something fast? Or do you want something easy to control? Weigh your options based on your priorities, because most electric unicycle models are not perfect. Design. Some are simple with plain designs, while some are flashy with LED strips. Ones with bright lights are good for safety purposes at night, but ones that have much sleeker looks can turn less heads. But hey, you’ll be getting their attention with your cool unicycle anyway! Reviews. 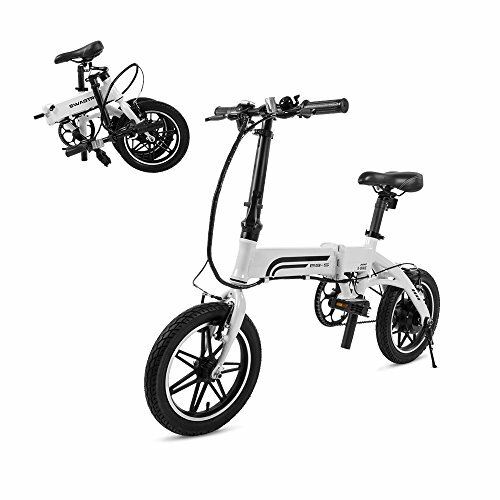 The site specs are not enough of a basis to fully gauge an electric unicycle’s performance. Your best bet is to check out reviews (like this article has) for an honest opinion on what the devices are truly like. The people who write the reviews usually try the unicycles out, too, so you know they aren’t making numbers up. Weight. The lighter ones have lower speed and mileage, while the heavier ones usually have all the power. There’s always a trade off, so you need to decide wisely based on your priorities and needs. Think about if you need to go up stairs a lot or if you’ll just be cruising pavements. Safety gear. You will be falling. A lot. Again, and again, and again. Thus, you better protect yourself with some gear. It might make you feel like you’re an 8-year old learning how to ride a bike, but gear like wrist guards, elbow pads, and knee pads can keep you from breaking bones or getting abrasions. We hope this article guides you on whether or not you actually want, or need, an electric unicycle. As long as you make an informed decision before you make a purchase, you will be completely fine. Always weigh out the pros and cons, while comparing the different features of each model you are considering. If you know of any electric unicycles that you believe should be on our list, feel free to leave a comment below. Happy cycling!